You drew "5 of Wands" as second card. The main meaning of this tarot card is: Confrontation; a showdown. Asserting yourself. A good solution for all. Emblematic of the battle of life.. It generally means: Fruitful discussion, open debate, competition. 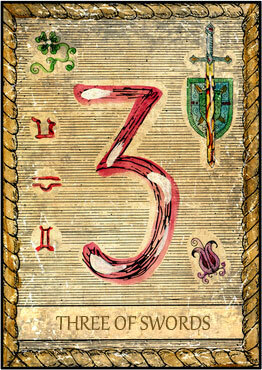 You drew "3 of Swords" as third card. 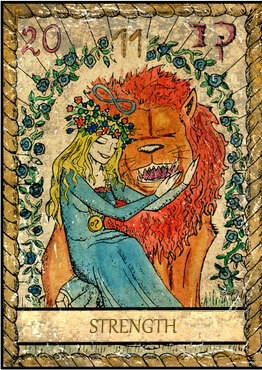 The main meaning of this tarot card is: A message causes heartbreak. An inner conflict. The mind triumphs over feeling.. It generally means: Disillusionment, heartache and absence. Your fourth card is "5 of Swords". 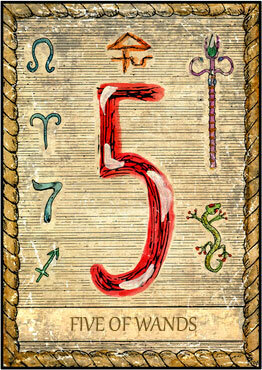 The main meaning of this tarot card is: Behave consistently. Fight back. Billing. Reversal of fortune.. It generally means: Bitter experience, misfortune and revenge. 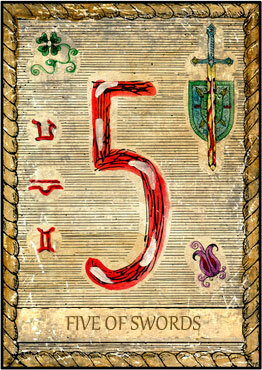 The card "5 of Swords" also stands for: Degradation, destruction, revocation, infamy, dishonor and loss. Reversed it points to: Funeral and mourning, theft, corruption and seduction. 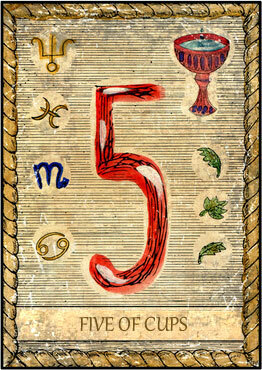 Your fifth card is "5 of Cups". The main meaning of this tarot card is: Turning away and mourning. Allowing no consolation. Losing something or someone. Something stays behind. Something is bequeathed or left that does not meet expectations. Marriage or partnership with a bitter aftertaste.. It generally means: Worry, pain and loss.